A mighty chieftain rushing into battle with a giant hammer in one hand and his dinner in the other. Rook likes to smash his enemies, with boulders, with hammers and even with his body. Once he goes berserk he turns into an unstoppable force. 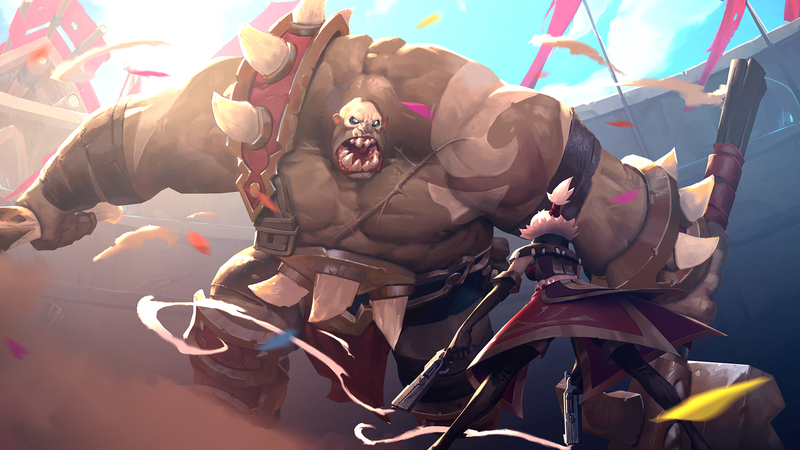 Rook is based on Glutton from Bloodline Champions. 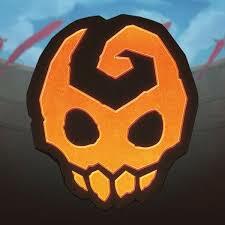 Rook's War Boy skin and "Witness me" quote might be a reference to the movie "Mad Max: Fury Road (2015)"
In one of his quotes, Rook is singing the chorus of the song "Yummy Yummy Yummy" by Ohio Express. Rook's quote "Rook Smash!" might be a reference to The Hulk. Rook's quote "It's clobbering time!" might be a reference to The Thing from Fantastic Four. Rook's quote "No pain, no gain" might reference a workout/exercise motto.